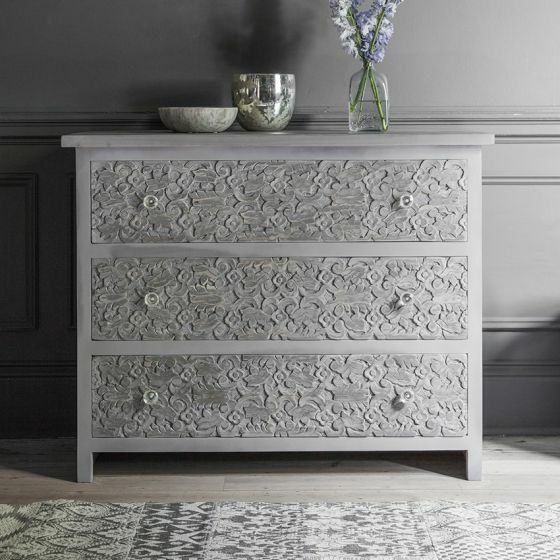 Make a striking statement in the bedroom with our intricately designed Atika Grey Carved Chest of Drawers. Manufactured from mango wood, the three-drawer cabinet is carved, painted grey and lightly sanded to reveal the attractive wood grain beneath and finished with cut glass handles. 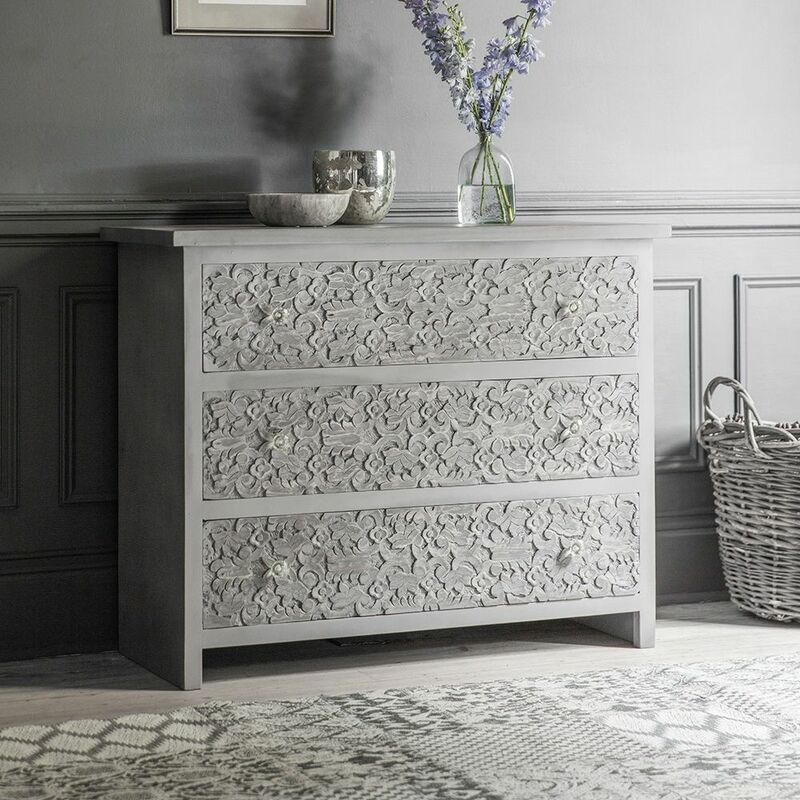 Perfect for a traditional bedroom décor, use as a standalone unit for clothes and accessories or choose a matching pair for a ‘his’ and ‘hers’ storage solution. 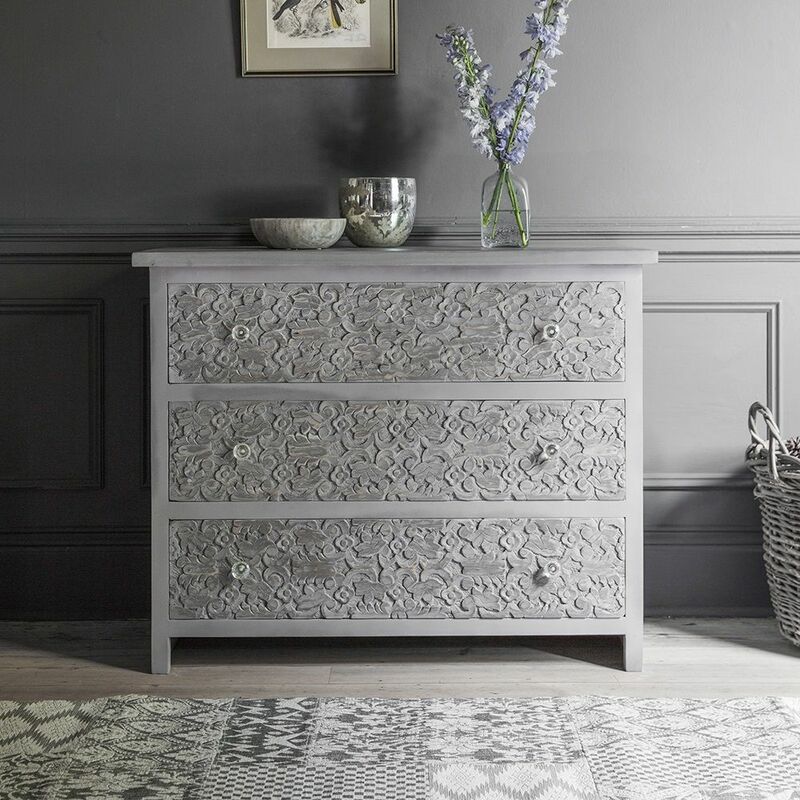 We also think the chest would make a stylish addition to a hallway or landing, with plenty of room to keep bags, hats and scarves within easy reach and surface space on top for bills, keys and paperwork. 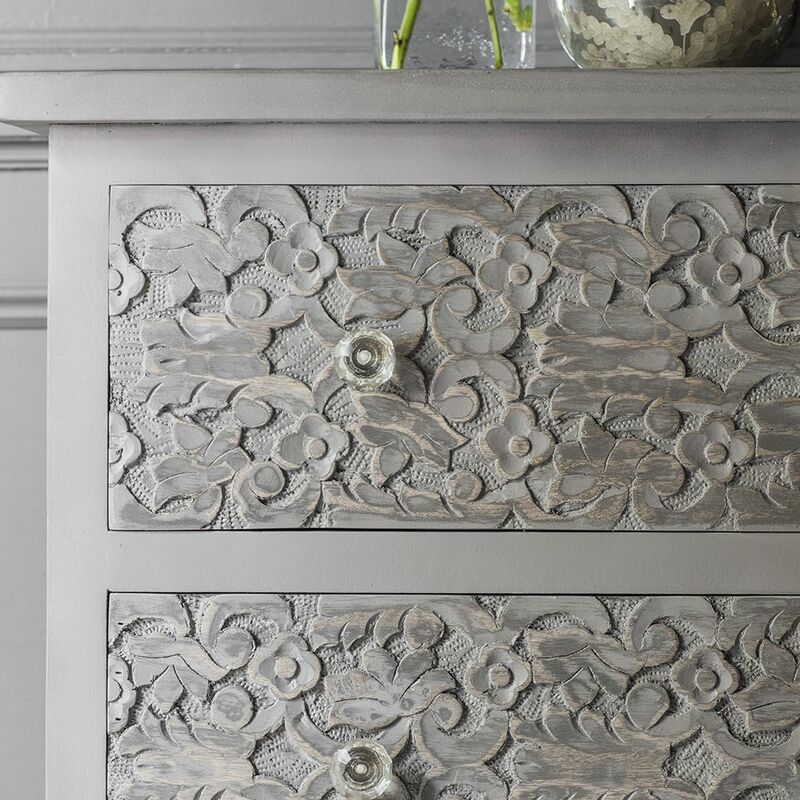 For a co-ordinated finish, we also have the Atika Grey Carved Bedside Cabinet.